Kind of Like a Song That is Stuck in Your Head. I have a long list of things I should be working on. Some new kit designs and a couple of designs for an upcoming project. They are on THE LIST. 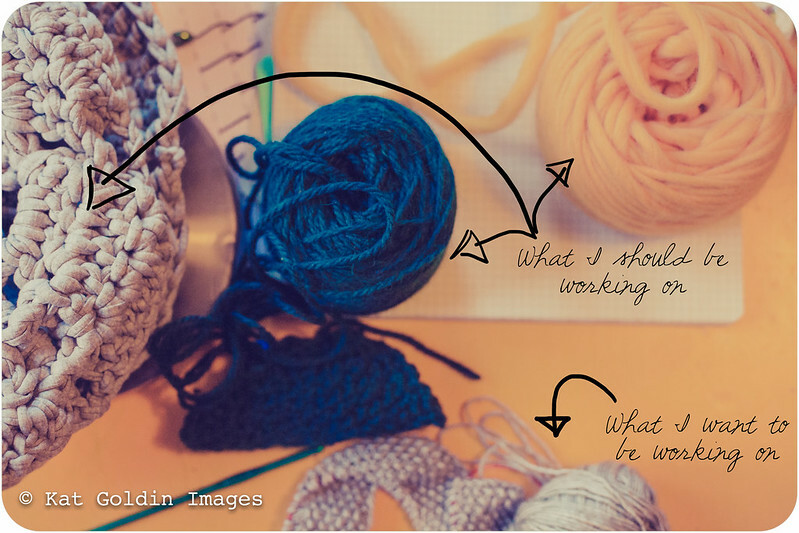 But what I actually can't stop thinking about is a completely different design in a yarn I shouldn't be using, in a craft (knitting) I shouldn't be designing in. Its something that has been haunting me for weeks. Occupying precious space in my brain. So often, that is how it works. A design gets into my head like a song, playing over and over. And like a song stuck in your head, the only way to make it stop is a) find a new song to get stuck or b)listen to your earworm as loud as you can, immersing yourself in it. I have tried a. Working on various other designs in hope that the design will leave me alone, but I keep getting called back to it. So, I have no choice, do I? A weekend of knitting? Oh, I suppose I could manage that. Oh and speaking of kits, I need HELP! Each kit will be coming in a kit bag, but I can't decide which design to use. I personally prefer just the suitcase, but I am interested to hear other opinions.